Bioenergy is an easily adjustable and storable form of renewable energy. It can offer both flexibility and reliability for an energy system that is dominated by variable energy sources like wind and solar. Solid biomass can also be converted to gaseous or liquid fuels, and used to displace fossil oil and natural gas in various applications. Access the future Bioeconomy and find out more from Making of Tomorrow -videos by VTT Technical Research Centre of Finland. VIDEO: On a car ride. 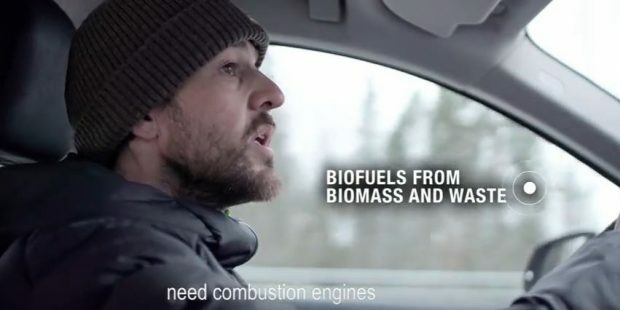 The video teaches about biofuels and biocomposite materials. VIDEO: What’s Inside a Plant? The forest is full of possibilities – it gives us materials, food and energy. In nature everything is used and recycled. VIDEO: Can Energy Production Have Negative Emissions? In the future we can have a process that supplies energy for us but also removes CO2 from atmosphere. VTT’s senior scientist Ilkka Hannula explains how. VIDEO: Biofuels or Electricity – What Moves Us in the Future? Are biofuels and electrification opposing options in transportation? VTT’s senior scientist Ilkka Hannula unveils why both options are needed. This article is part of Making of Tomorrow campaign by VTT Technical Research Centre of Finland. The campaign shows how the bioeconomy will become an integral part of our everyday lives in the areas of energy, chemicals, materials and food. Making of Tomorrow highlights the bioeconomy with webinars, interviews and videos. Find Making of Tomorrow materials in Bioeconomy.fi.